People with dementia receive little specialist support at the end of their life despite high levels of need, and nursing home staff need more support from external healthcare services, a study says. People with dementia receive little specialist support at the end of their life despite high levels of need, a study says. Researchers from the Marie Curie Palliative Care Research Department at University College London recruited 85 people with advanced dementia from 14 nursing homes overseen by six clinical commissioning groups across London. Writing in the journal Palliative Medicine, they found GPs were the main providers of medical care, with 96% of subjects seeing a GP in their last month of life and one in five (19%) being seen by a paramedic in the same period. 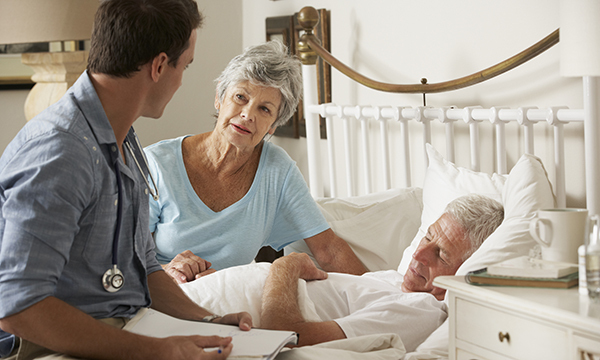 Less than a third of participants (28%) were seen by palliative care teams from the 34% who were referred. Only 1% of the participants were seen by a specialist geriatrician or a psychiatrist specialising in older people. When advance care planning took place it focused on resuscitation decisions and place of death rather than the type and quality of care patients wanted at the end of their life. Data from the Office for National Statistics shows dementia is the leading cause of death in England and Wales, and researchers say there is an urgent need to ensure an adequate standard of comfort and quality of life for patients.